There are a lot of celebrities in this world of ours, but very few superstars. Julia Roberts is one of them. The actress with the megawatt smile doesn’t make a regular habit of appearing in films, these days, but she returns to the big screen this holiday season, with the hotly anticipated ensemble drama August: Osage County. Based on the Pulitzer Prize-winning play by Tracy Letts, the movie is Oscar bait, for sure, and Roberts is reputed to have turned in her best performance since Erin Brockovich. 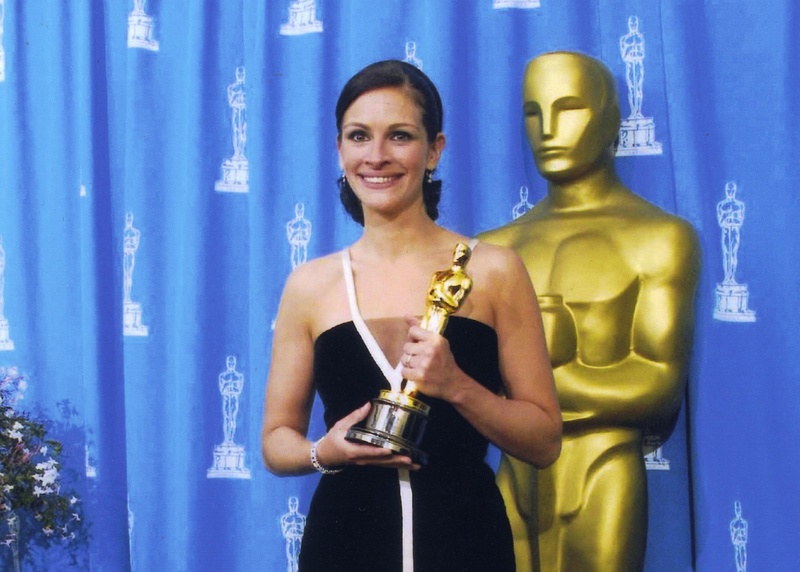 Which raises the question: Will Julia Roberts be making a return to the Academy Awards? And if so, what will she wear? Roberts isn’t the only legendary beauty to have donned that particular frock, by the way. Back in 1992, when the look was fresh off the catwalk the Liz Tilberis-helmed Harper’s Bazaar shot it on none other than Christy Turlington. Superstar, supermodel, supergown.